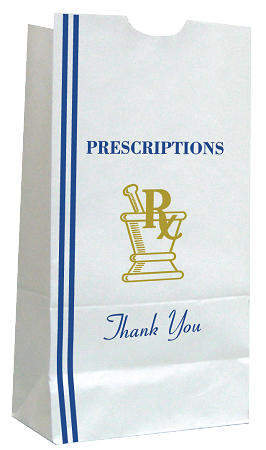 Pharmacy #26 Flat Bottom Paper Bags - Custom Design Bags | Gold Star Intl. Medium flat bottom bags. Stock "Thank You" design. 1,000 bags per box. Dimensions: 6.5" x 4" x 13.5"